Removing Shellac nails may be easier than you think. All you will need are three items to help you in the process and voila! I have split the process into 6 easy steps which have been demonstrated in the images and description below. 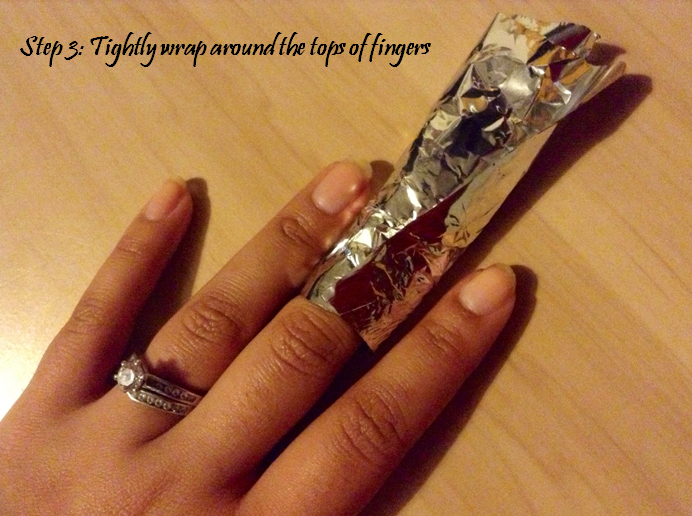 2.Start off by tearing the foil into 5 long strips and then splitting each strip in half, creating 10 smaller pieces.Then apply a generous amount of nail polish remover to the cotton wool pad and place it at one end of the foil as pictured above. 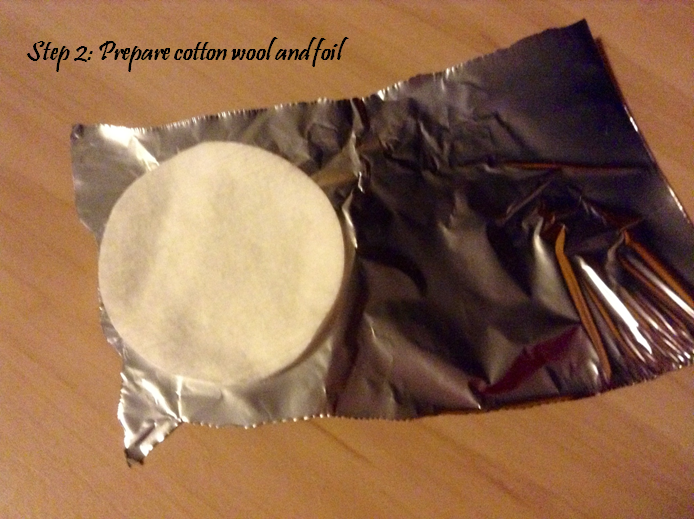 Place your first finger, nail down, on the cotton wool pad. 3.Keeping your finger nail down on the cotton wool pad, carefully begin wrapping it around the tops of your finger as demonstrated above, making sure to keep it as tight as possible. 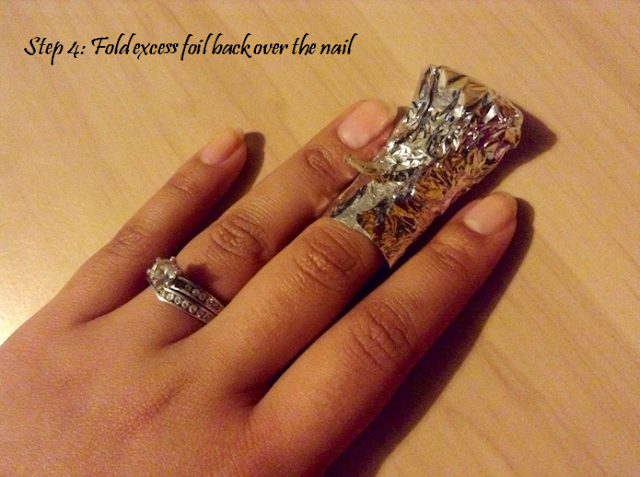 4.As you can see, there should be some excess foil left over. Fold it back over the tops of each nail securing it tightly to ensure it holds. 5.After you have completed both hands, set a timer to 15 minutes. 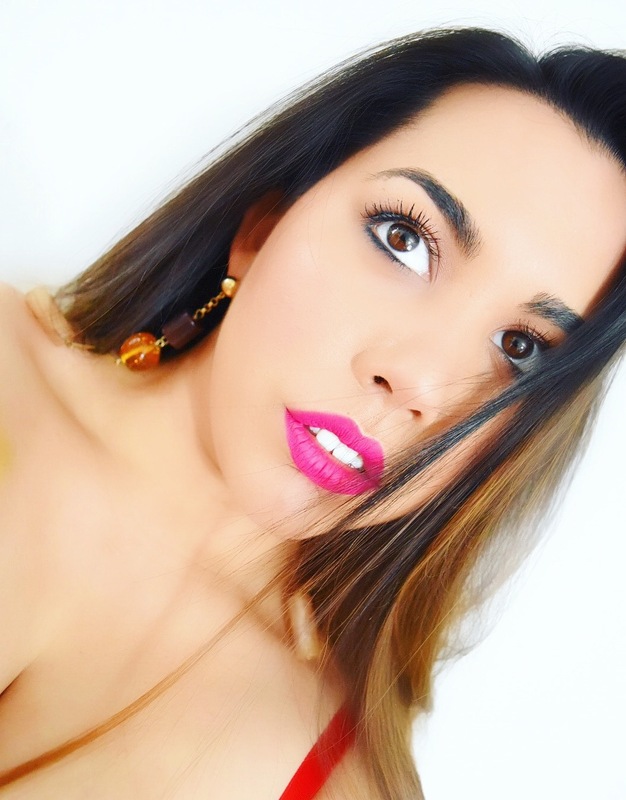 If the second hand takes a long time to prepare after already having done the first, make sure to not let the time run over 20 minutes as the acetone will begin to dry out the skin around your nails and possibly begin to feel uncomfortable. Also, a little tip, leave the thumbs 'til last. 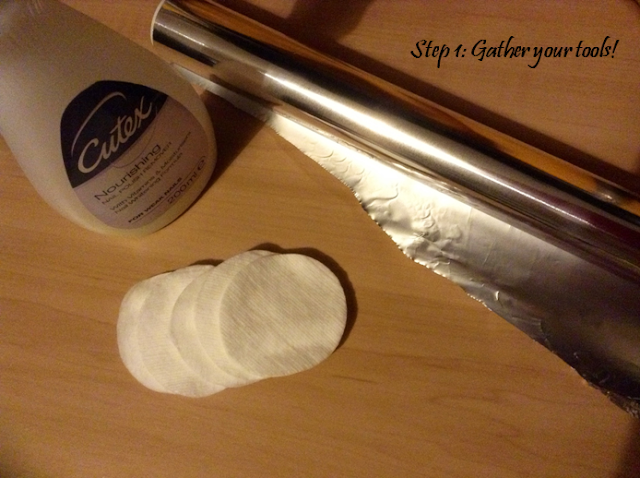 6.After the 15 minutes are up, remove one cotton wool pad/foil piece and gently scrape at the Shellac polish to see if it crumbles away easily. 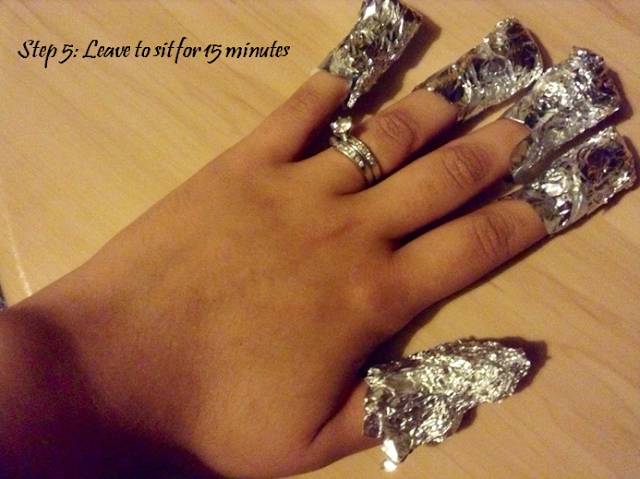 If it does, remove all foil and gently begin to scrape the Shellac manicure away. This is not damaging as the polish should already be crumbling away. 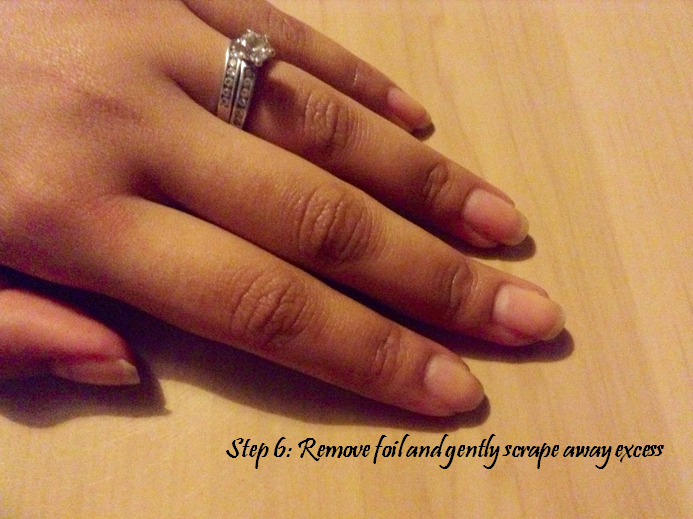 Make sure you do not scratch the actual nail! Once all of the nails are bare, apply some nail polish remover to a cotton pad and gently wipe over each nail to remove excess, if needed. Once you have completed this, quickly wash your hands well and apply a nail cream/oil, making sure to massage it in well.